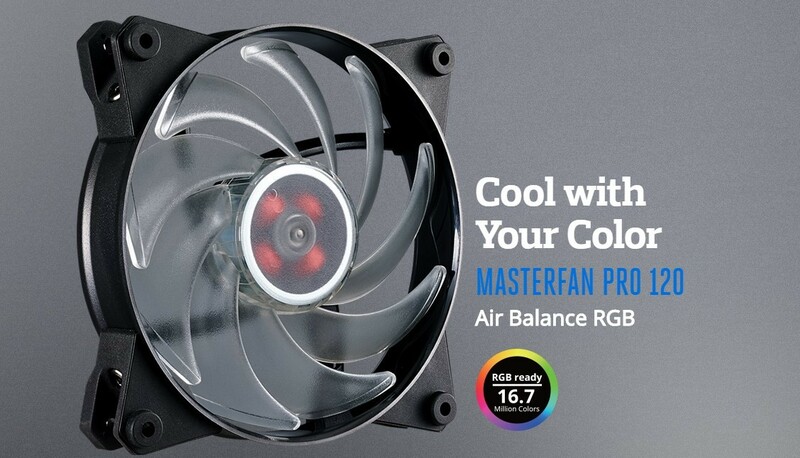 Cooler Master has announced their new MasterFan Pro 120 and 140 series fans with RGB lighting, which is based on Cooler Masters’ existing MasterFan Air Balance design. The MasterFan Pro RGB fans feature three modes, the first of which offer RED LED illumination the second of which offers Blue LED light and the third of which offers RGB lighting when used with a motherboard RGB header or a Cooler Master RGB LED controller. Cooler Master’s new MasterFan Pro RGB feature a 4-pin PWM fan header and operates between 650RPM and 1300RPM. 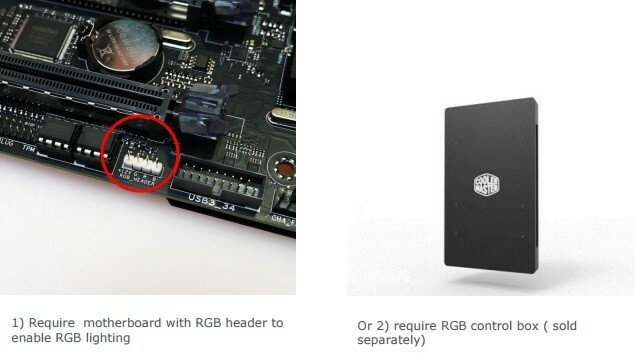 The fans also have an RGB header which can be controlled by connecting them to an RGB LED header on compatible motherboards or by using Cooler Masters’ RGB controller box. The Cooler Master’s new MasterFan Pro RGB will have a five-year warranty. As of now, Cooler Master has not announced when these new RGB fans will release date or pricing.